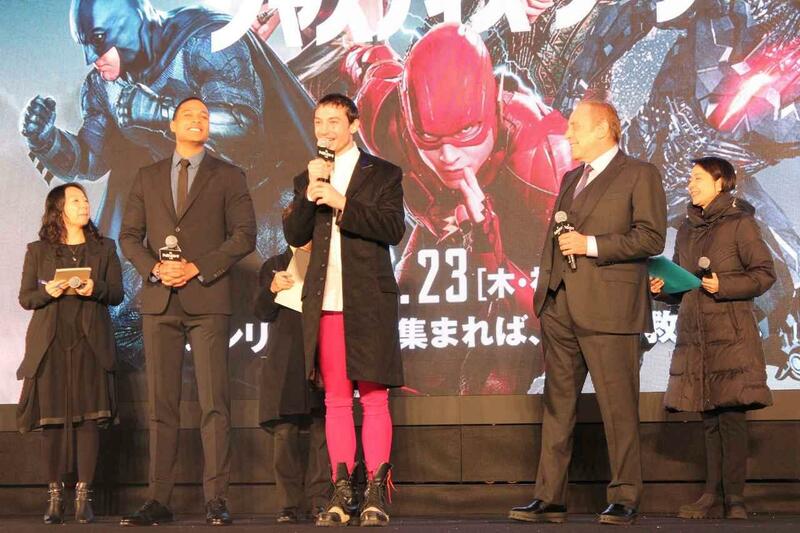 Ezra Miller will come to Japan to promote “Justice League” | Elly! Justice League (to be released 23rd November), depicting a superhero team in American Comics, would be holding a Japan Premiere. 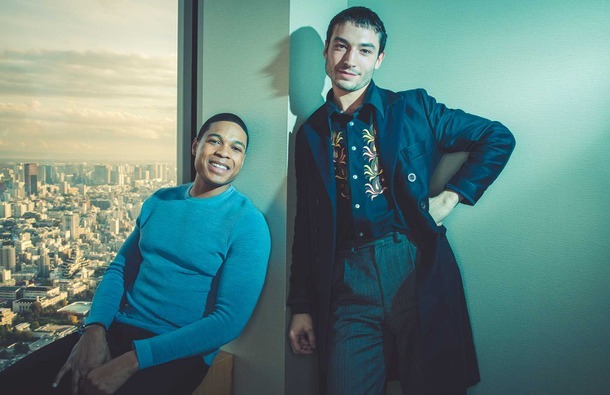 Ezra Miller, playing the Flash, and Ray Fisher, who plays a supporting character, as well as Charles Roven, the producer, will be gracing the event with their presence. 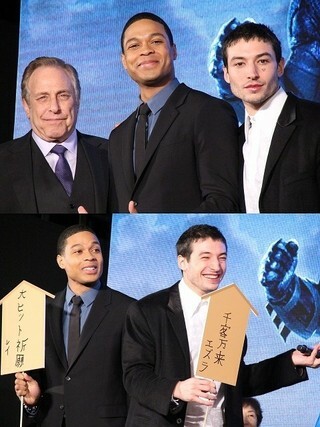 At the sight of Ezra, wearing a Batman T-shirt, exiting the gate, the crowd of 300 fans who rushed to the airport to catch a glimpse of the star went wild. Despite having just landed after a long flight, he responded with smiles as he fulfilled requests of autographs and photographs for over 20 minutes. This trip marks the 3rd time that Ezra has been in Japan. In 2012, when he came to promote “We Need to Talk About Kevin”, he extended his stay in Japan, paying out of his own pocket and finding a guesthouse to stay in. During this trip, it seems like that are a lot of things which he would like to do: he not only ate ramen and shabu-shabu, but also offered prayers at a temple. Ezra loves Japanese manga and anime, as well as games. He became a hot topic after he cosplayed as the main character Ed in “Fullmetal Alchemist” in the San Diego Comic-Con International in July. He commented innocently, “The release of “Fullmetal Alchemist” is something else to look forward to! Although I can only say this because it is a Warner Brothers film”. To him, the Flash, who is a superhero, is a very special role. The various possibilities and the world in his heart becomes a strong energy for him. That is why he never wants to lose it. 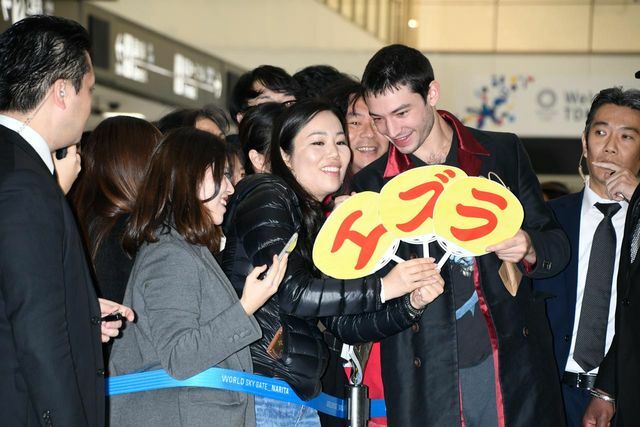 Ezra Mille, who loves Japan, responded comfortably to requests for autographs and photographs from fans and attendees of the premiere event from the moment he exited the airport.